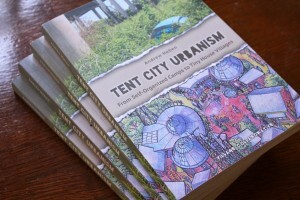 Tent City Urbanism! Photo via Andrew Heben. 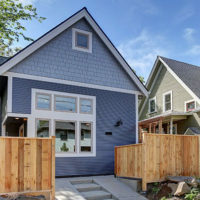 Little houses have piqued America’s interest as an antidote to the McMansion-style housing boom, but they’ve also become an intriguing option for providing affordable temporary and transitional housing for the homeless. One true expert on this trend is Andrew Heben, Build Small Live Large speaker and author of Tent City Urbanism: From Self Organized Camps to Tiny House Villages. 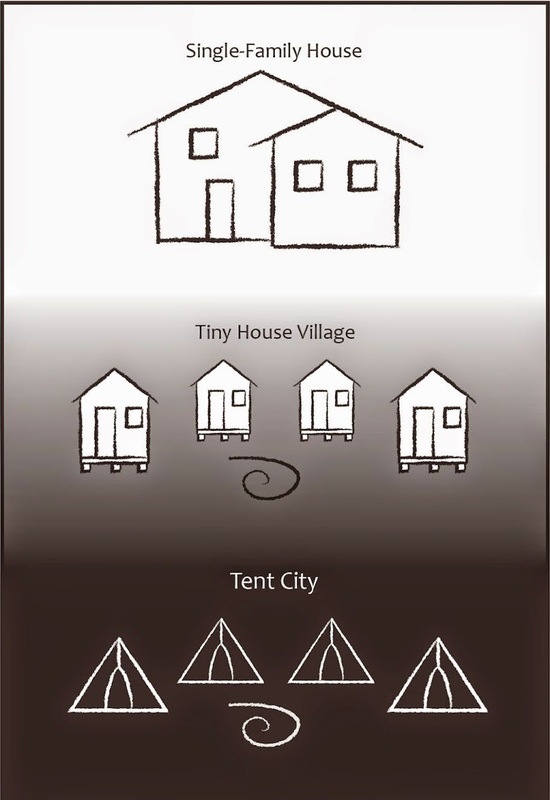 “Tent City Urbanism explores the intersection of the “tiny house movement” and tent cities organized by the homeless to present an accessible and sustainable housing paradigm that can improve the quality of life for everyone. Room for overlap and collaboration. Photo via Andrew Heben. 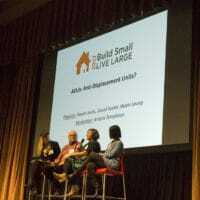 Build Small Live Large is excited to have Andrew as a panelist on our Affordable Tiny House Communities Incubator session, along with Timothy Ransom, the Board President of Panza/Quixote Village in Olympia. 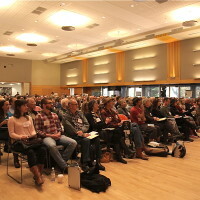 Check out Andrew’s sites Tent City Urbanism and The Village Collaborative for tons of great content on this positive trend for small housing and social justice.